OMET–SF 213 is a Metal surface Cleaning and Finishing Compound. 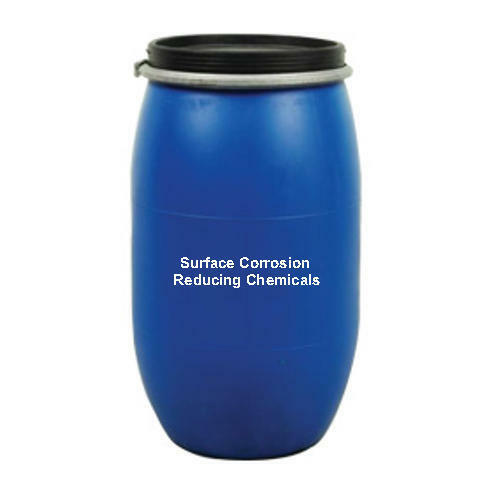 It is used for the cleaning of all types of metals. It is also specially formulated for cleaning of steel surface and as well as to reduce the surface corrosion. Incepted in the year of 1972, Olivine Mercantiles Private Limited is an eminent entity involved in manufacturing a huge compilation of Cleaning Chemicals, Textile Chemicals, Radiant Cooler, Water Treatment Chemicals and much more. Developed making use of supreme in class material and progressive technology; these are in conformism with the guidelines defined by the market. Along with this, these are tested on a set of norms prior final delivery of the order. Under the proficient guidance of our mentor Mr. Harsh, we are successfully meeting the growing demands of our prestigious clients in an efficient and the best possible manner.